Easter season is here, so we explored the significance of the most prevalent figures in Christian art: Jesus, the Virgin Mary and Mary Magdalene. 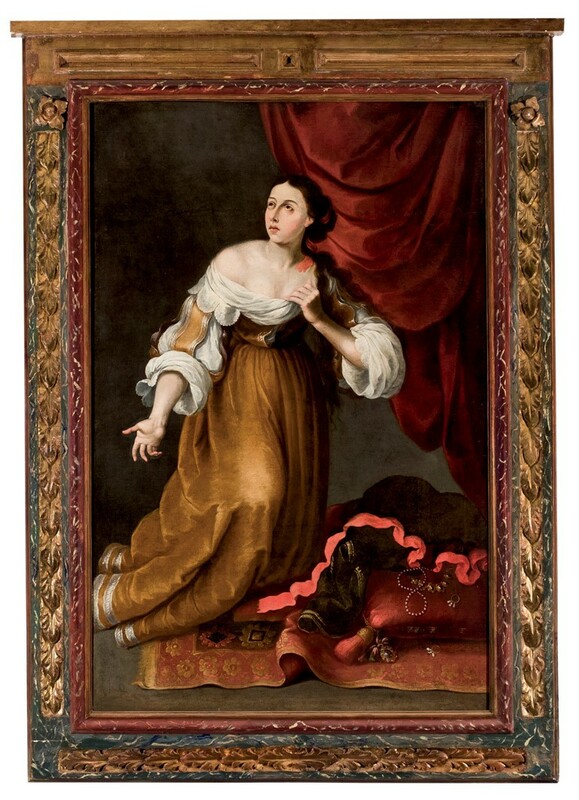 In connection with Duran Arté y Subastas' auction on Tuesday, April 30, we explore the iconography of Christianity's three most frequently portrayed subjects in art. One of Christianity's most prominent figures is undoubtedly the Virgin Mary. Although Madonna plays a significant role in the Christian world, she is mentioned only a few times in the New Testament. But where Virgin Mary is lacking in literature, she is compensated for in the visual arts and has thus been portrayed countless times. Madonna pictures have been in Christian art since the early years of the 400s and are among the most common Christian motifs. As the Virgin Mary is highlighted as Jesus's mother, she is usually portrayed as a symbol of motherhood with the infant child in her arms, as ‘Mary Eleousa’ (the tender mother of God). Depictions like the painting above are often called ‘misericordia’ pictures, where the Virgin Mary's mantle offers viewers protection and security. 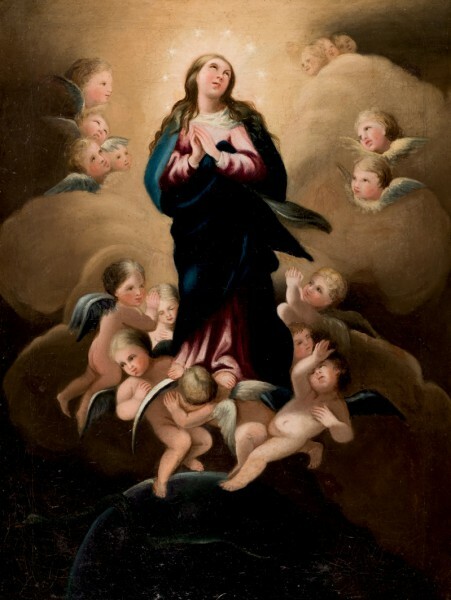 During the 16th century, a new type of painting, called ‘immaculata conceptio’, arose. In these pictures, Mary is depicted alone, but as the mother of Jesus she is also the ultimate female idol – no woman other than a perfect one was worthy to bring forth the Son of God. In these pictures, Mary is almost always portrayed surrounded by angels (Maria Regina) with her hands joined in prayer, and sometimes trampling on a snake. 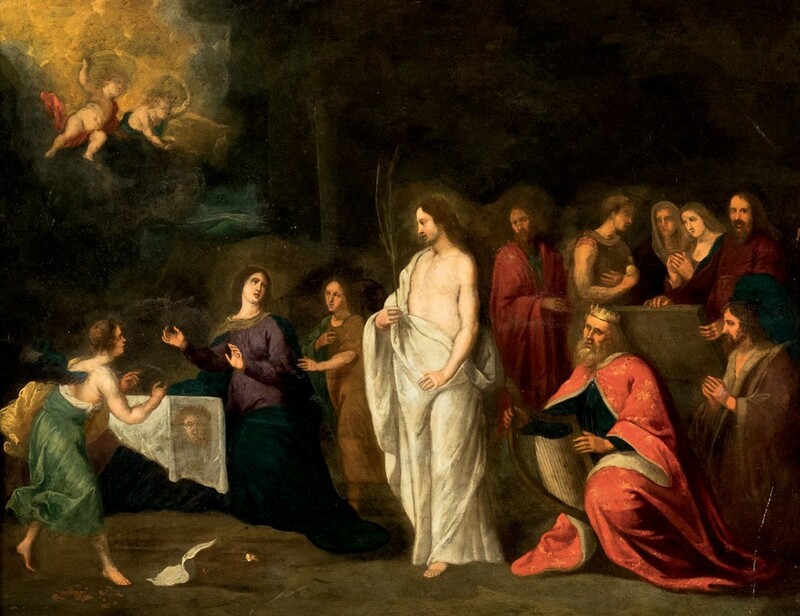 One of Easter's main figures is undoubtedly Mary Magdalene, one of Jesus' female followers, and, according to the Gospel, the first to discover Jesus's empty tomb and one of those who saw him resurrect. Since Mary of Magdala has been interpreted as both Mary as in the siblings Mary and Martha and the sinner described in the Gospel of Luke, the image of Mary Magdalene has changed over time and depending on interpretation. Today, these women are separated into the Christian faith and perceived as two different people. 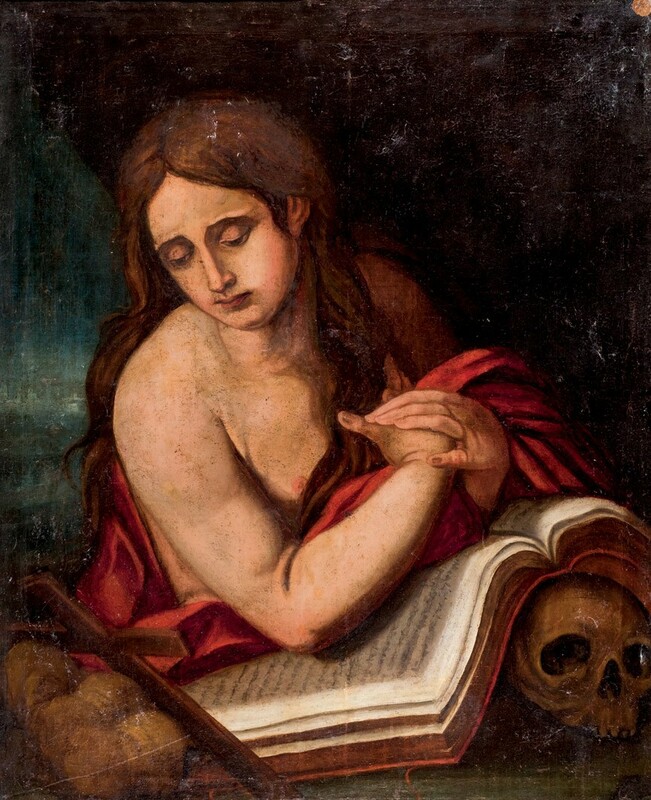 Mary Magdalene is often portrayed together with a skull, which represents life's impermanence. Other times, she is portrayed along with her saint attribute, an anointing vessel, if she is represented as the Mary who anointed Jesus' feet with balm. After the Virgin Mary, Jesus is the second most depicted figure in the Christian faith, but is the most important. 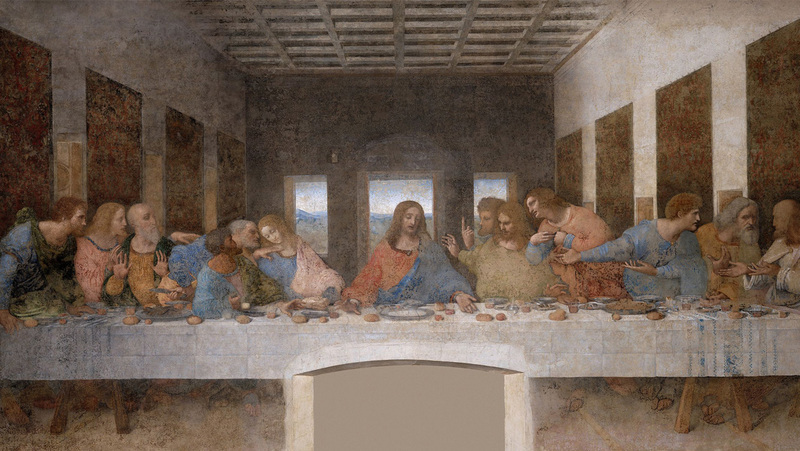 The oldest recorded works date from about 200 AD, but it is not until about the 400s that Jesus is portrayed as we recognize him today – with long, curly hair and a face adorned with a beard. During the late Middle Ages, Jesus was depicted as very lean, a sign of the suffering he encountered during his life. Sometimes, Jesus is depicted from the front, often with halo. In Medieval Art, he was often depicted a part of cross-glory, where the Father, Son and Holy Spirit were represented by each arm. 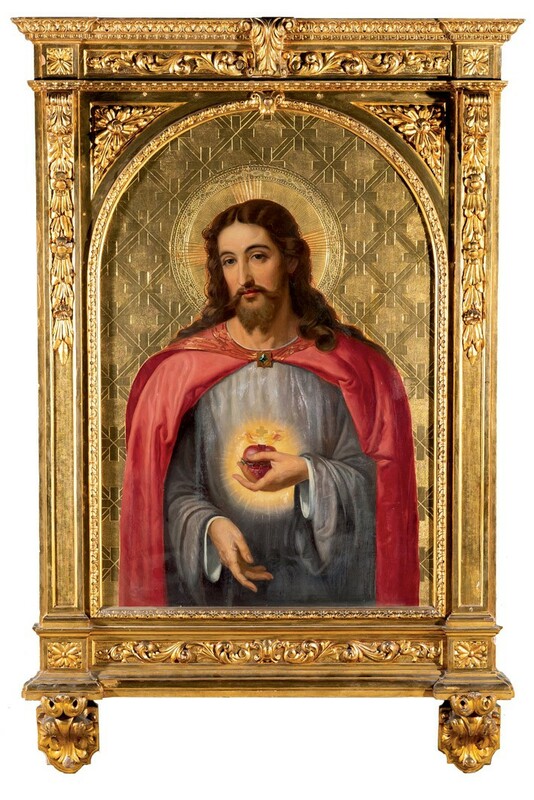 In many portraits, Jesus is paired with a radiant heart, either on his chest or held in his left hand. This heart is a symbol of Jesus's eternal love and the love of God. Another popular scene of Jesus is his resurrection, when Jesus resurrected on Easter Sunday, the third day after he was crucified. Jesus is often portrayed in white, a symbol of purity, and with a gesture of guidance.